In my last beauty on a budget post I mentioned that I was on the hunt for beauty bargains in the run up to Christmas. Now that the majority of my Christmas shopping is done my purse is definitely feeling a bit sorry for itself. 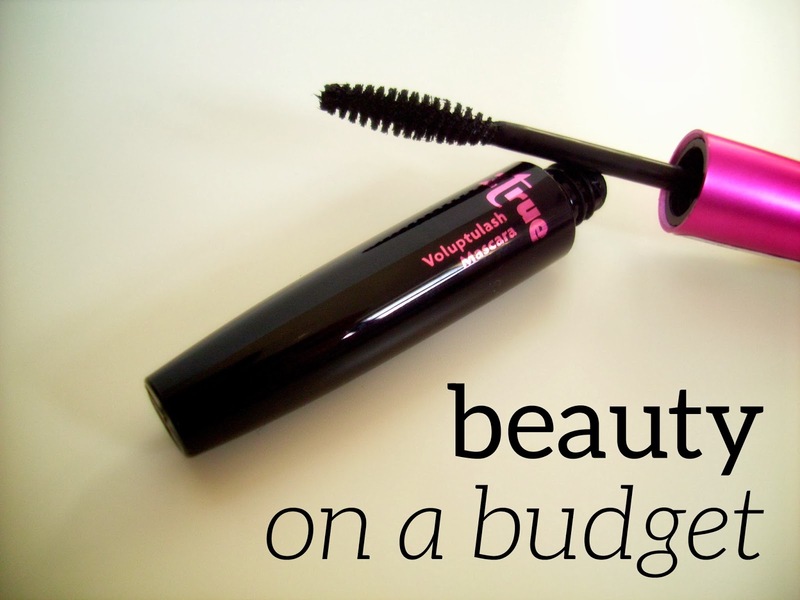 So when my mascara was on its last legs I knew I would have to switch to something cheaper. After asking for recommendations during a #bbloggers chat, I went for 2True's Voluptulash mascara in Carbon Black (big thank you to Rosie who suggested trying out 2True)! I was curious about how good a £1.99 mascara would be. In an ideal world, I'd like my lashes to be voluminous at the roots whilst simultaneously lengthened, separated and able to hold a curl. This mascara does all of that. I maybe wouldn't recommend this to anyone who was looking for dramatic volume for a night out, but for day time wear it's perfect. The small bristle wand is fab for coating the roots and extending the outer lashes. I'll definitely be checking out more of 2True's range in the future! ooh yay you tried it! That's a different one to mine though... I love the one I use which is the 2True Flash Eyes, but this bottle is so much nicer!